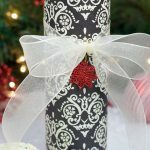 A Peek at the Fun: Need a simple and fun gift this Christmas to make someone smile? 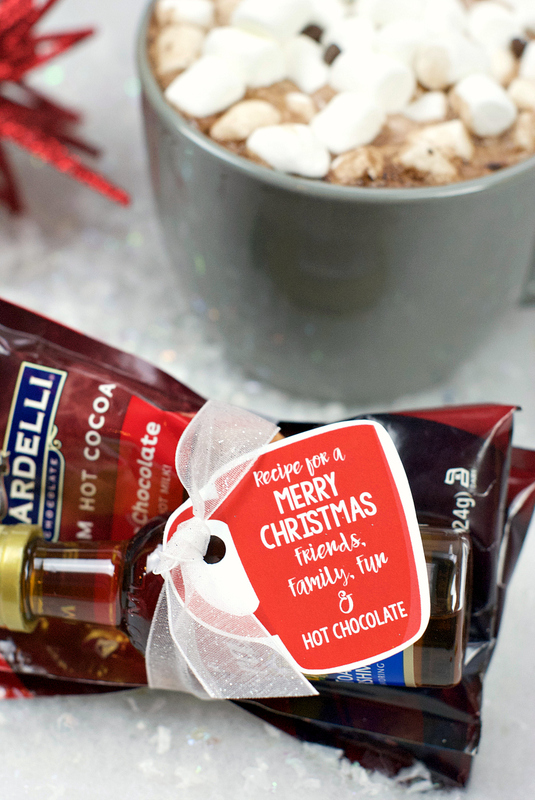 Try this flavored hot chocolate gift idea. It’s something everyone will love! Sometimes you see something in the store and you just KNOW that it has to come home with you. That’s what happened to Danetta when she saw these tiny little Torani Flavored Syrups at the store one day. 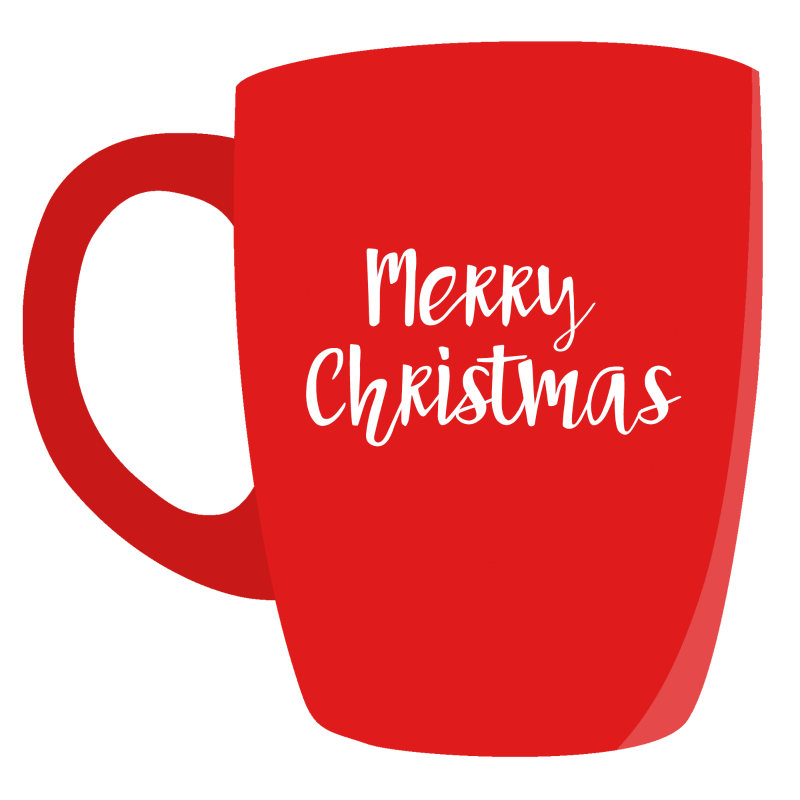 And knowing that Amber is addicted to hot chocolate (and really, who doesn’t love a nice cup of hot chocolate in the winter? 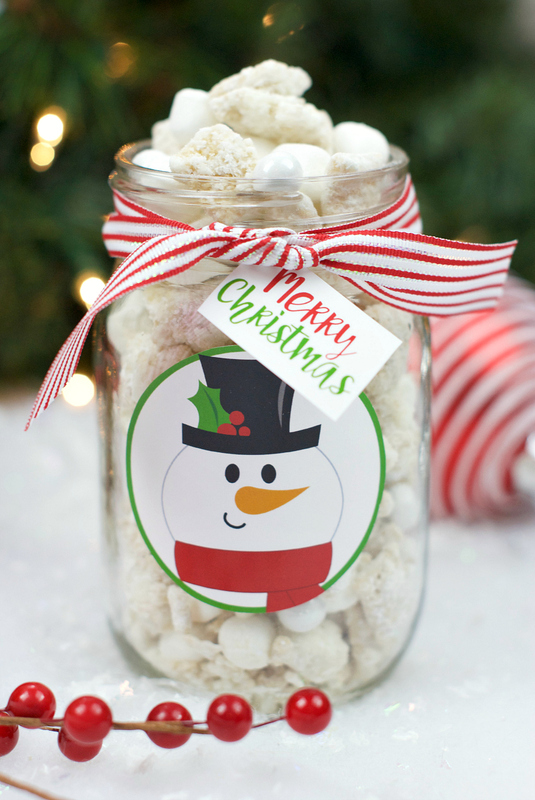 ), we came up with another fun hot chocolate gift idea. 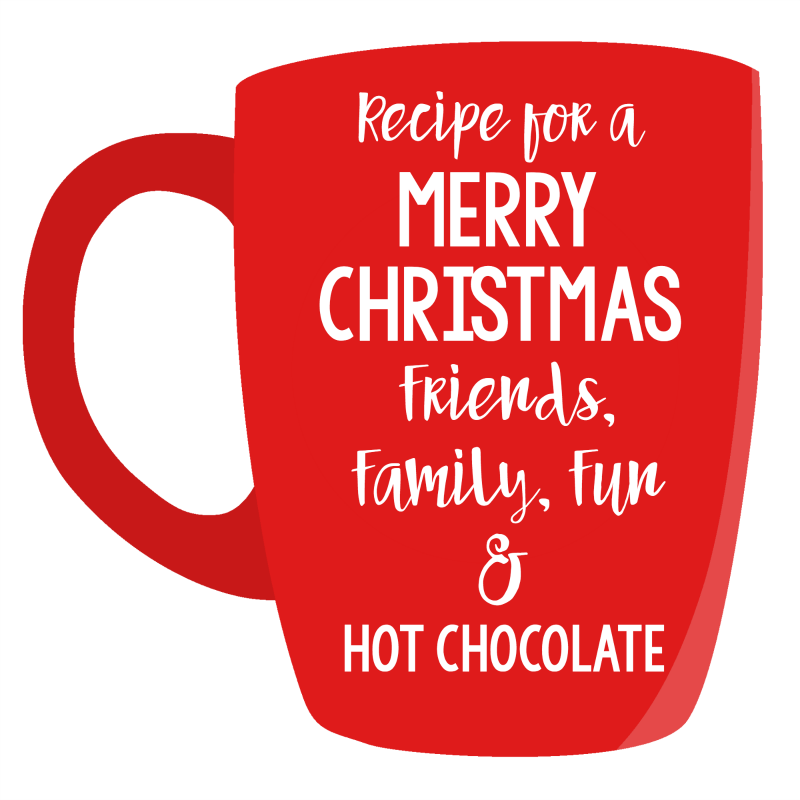 This one though, has a fun little flavoring and packets of hot chocolate for the whole family. 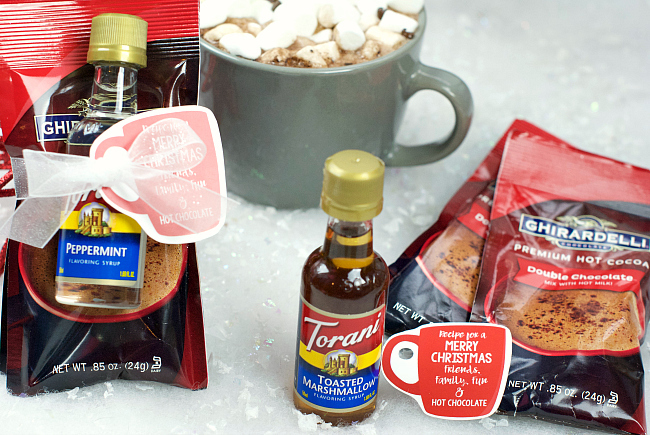 Seriously, who wouldn’t love this hot chocolate gift idea?! Cute and quirky and fun. And aren’t those little tags cute? 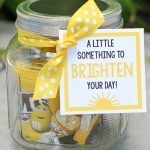 You could also package this all up in a mug for extra fun if you want to make it a little something more for someone like a coworker or a friend. 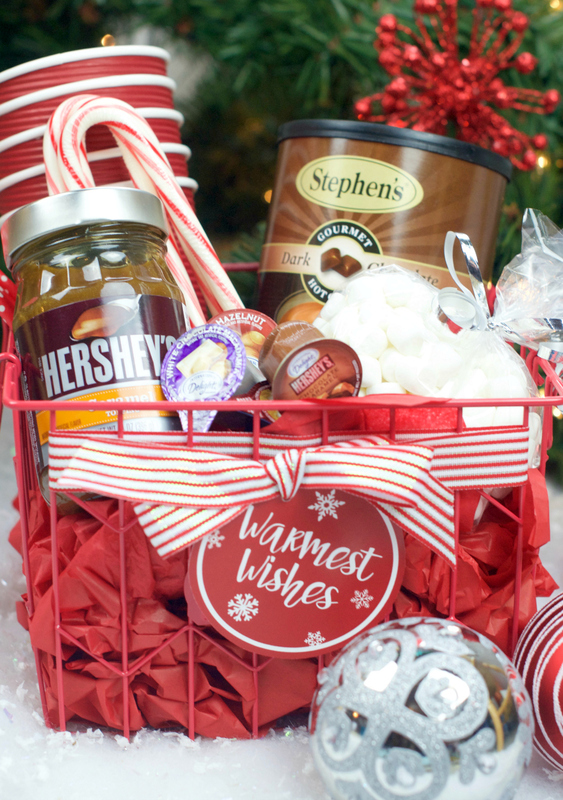 We also have a hot chocolate gift basket idea that could be fun too! 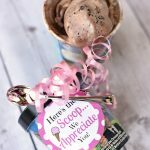 Wrap it up and give it away! Which flavor would be your favorite? Here are the tags for you to use. 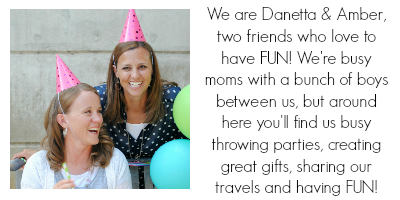 We’ve got a PDF with a bunch on it or you can right click and save below and print your own. 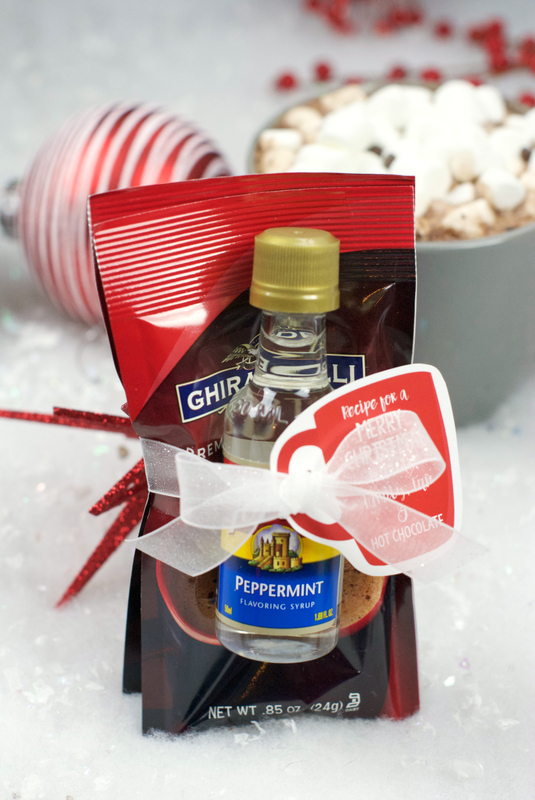 Have FUN giving this hot chocolate gift idea! Where did you find the hot chocolate packets? Probably Target? Can’t remember for sure. 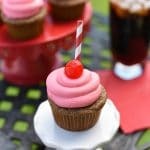 Thank you-will check them out! How does the bottle stay put? Mine keeps slipping out after it’s tied with ribbon. We like to use double sided tape to keep things in place.